The other day I went on Google Maps and checked out one of the supermarkets near me to see what time they closed. What I found was an interesting feature that showed just how busy the supermarket was at every hour of the day. This feature is actually pretty easy to use, and you don’t have to do anything special to enable it. Just go to Google Maps, search for a business, and click on its pin on the map view. In the left sidebar, scroll down until you see the Popular times section. Here you’ll find a dropdown menu where you can select which day of the week you want to know about. This information is collected by Google Maps based on historical visiting patterns. Yes, that’s right: if you’ve granted Google permission to store the location information of your GPS-enabled phone, then you’ve helped Google develop this feature! But don’t worry, your location data is all anonymized. Note that this feature won’t help you on certain days that experience out-of-the-ordinary surges, such as Black Friday. As of now, the feature works for nearly all restaurants, bars, and retail stores. Also note that some locations may even report real-time levels of crowdedness. 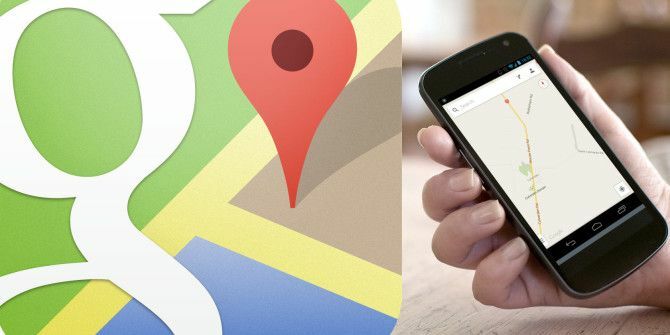 There are plenty of other awesome Google Maps features 16 Incredible Uses of Google Maps You Should See and Try 16 Incredible Uses of Google Maps You Should See and Try Google Maps is an incredible tool on its own. But some websites have tapped into it to create wonderful Google Maps applications. From Google Maps games to history and literature, we cover them all. Read More to check out, including the Timeline feature See Where You've Been with Google Maps' New Timeline Feature See Where You've Been with Google Maps' New Timeline Feature Google can see everywhere you've ever been. Creepy or awesome? Read More , so don’t delay. Make your life easier with these Google Maps voice commands 8 Voice Tricks for Google Navigation That You Never Knew About 8 Voice Tricks for Google Navigation That You Never Knew About With "OK Google" enabled, you'll never have to touch Google Maps again. These voice tricks will make sure of that! Read More , too! How useful did you find this feature? Do you intentionally visit businesses when they are at their least crowded? Share with us in the comments!